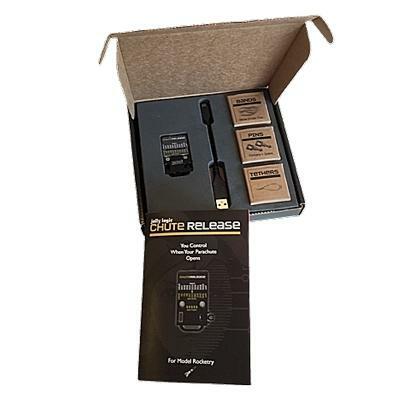 This new product from Jolly Logic is a parachute deployment product for model rocketry which gives you control over when your parachute opens without having to use additional ejection charges or black powder. Chute Release wraps around the rocket parachute and holds it closed with an elastic band until it descends to a chosen altitude. Then, using an electronic servo, it allows the parachute to open. 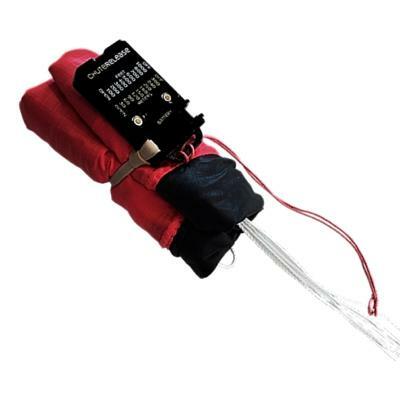 This allows simple motor-eject rockets to reduce the distance that the rocket drifts while on parachute, which is especially important for high flights, windy days and small fields. It won’t fit into every rocket. Practically speaking, the smallest rocket tube that it will fit will be the 41mm (1.64″), T-60 size tubes. 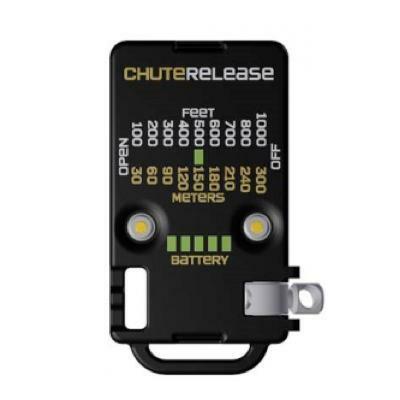 You can read the Chute Release User Guide here.